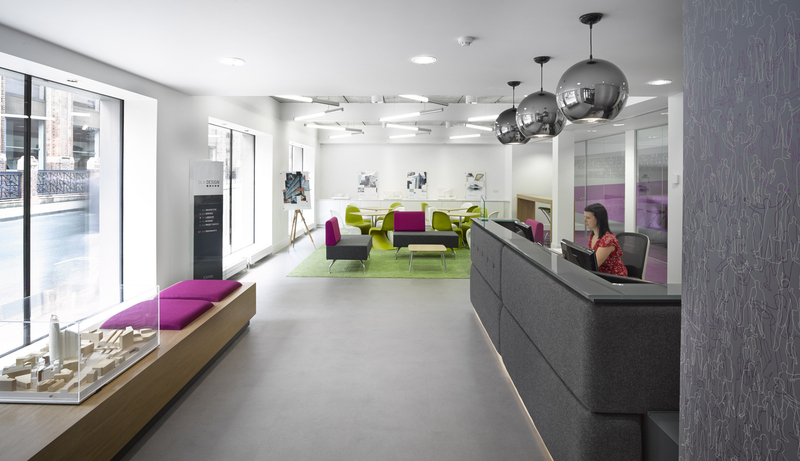 When long-time design partner DLA Design asked us to furnish their new Leeds space we jumped at the chance. 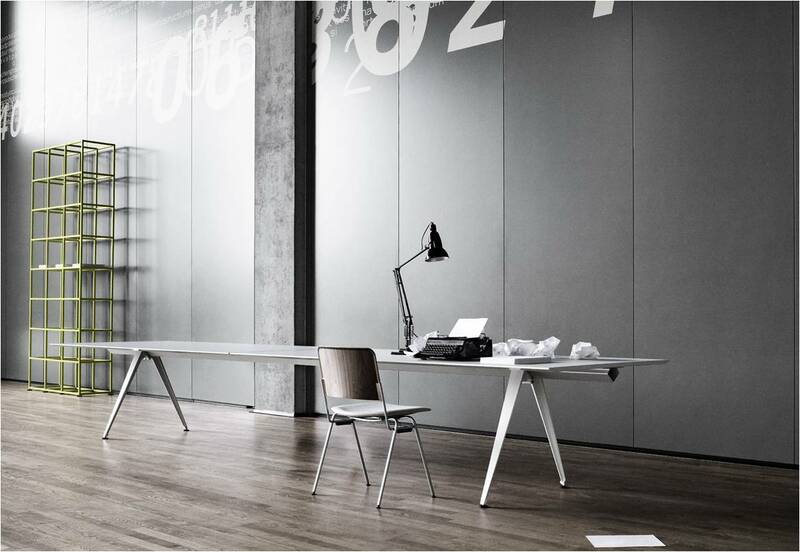 We’ve long been fans of Danish company Randers’ products (our ONO boardroom table being an example), so we thought it was about time to re-focus on some of their more recent releases since their 2011 merger with fellow Danes Radius Mobler. 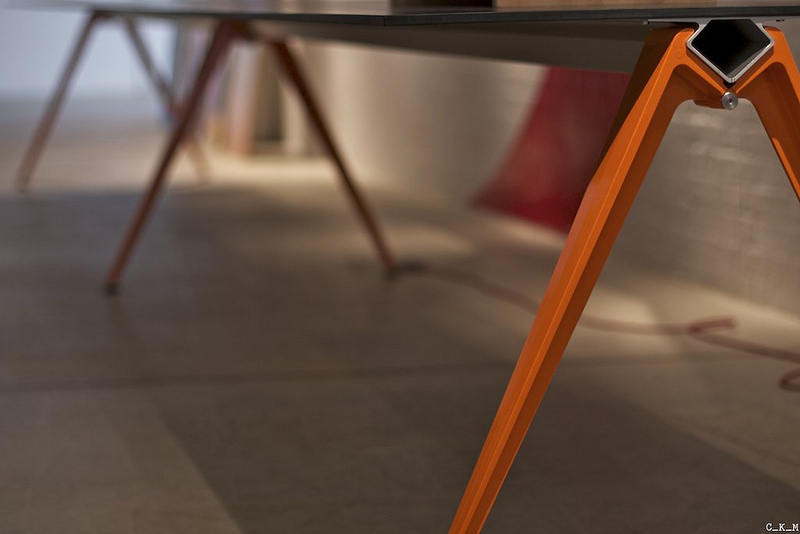 The stunning and innovative GRIP table is inspired by tightrope walkers and becomes more stable as weight increases. 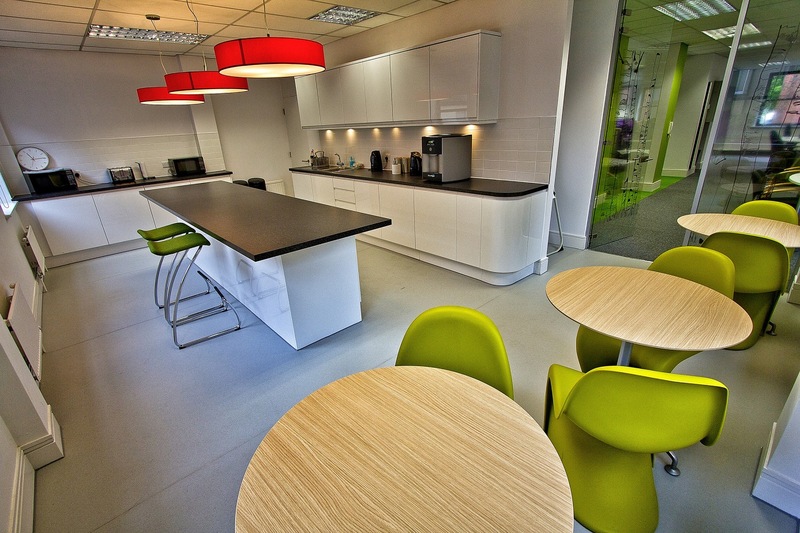 At the centre of the table structure there is a strong floating beam which can create a long freestanding table. 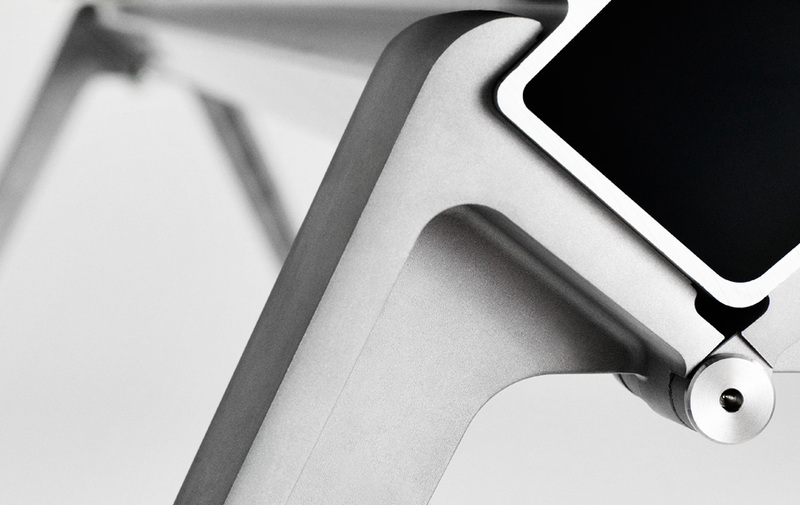 The hinged cast aluminium legs simply clamp onto the beam at any point and gravity does the rest. 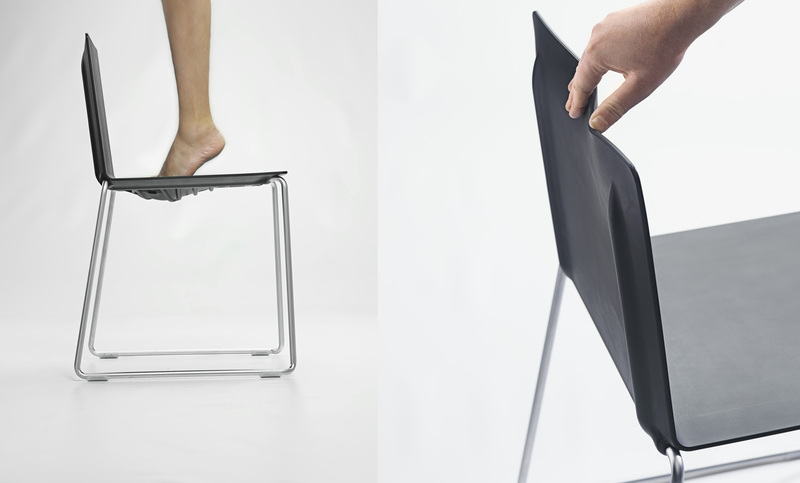 The equally innovative DRY chair is a study in minimalism with a visually very thin “folded” plane shell. But it’s comfortable too: The shell is molded in PUR rubber with in-molded steel structure. When empty it is straight and flat, but when occupied it adapts to the shape of human body. Thanks to the elasticity of PUR and an intelligent in-molded spring construction the shell provides seating comfort by taking the body’s shape and by supporting it where needed. 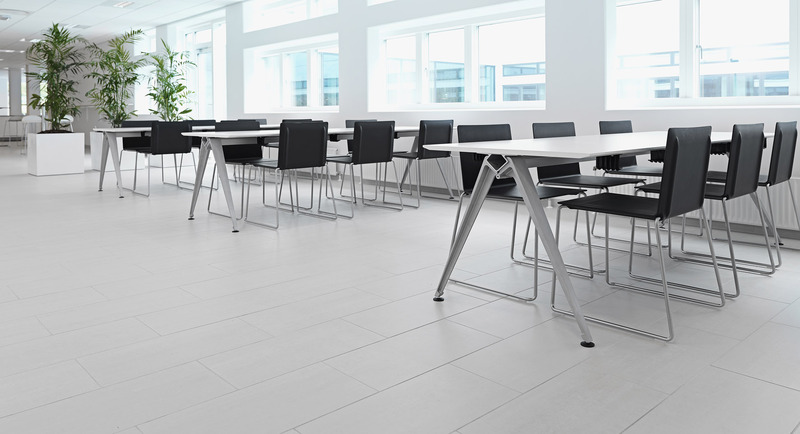 The clever linking device allows conference and auditorium layouts to be quickly built up and disassembled and DRY stacks easily and noiselessly up to 15 chairs on the floor. 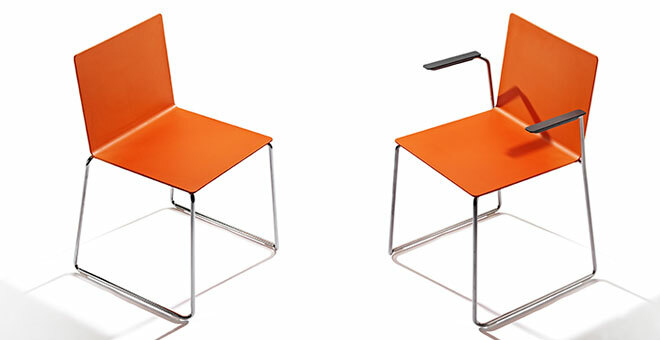 The all over PUR seat ensures that chairs are not scratched while stacking and don’t slide. The announcement has been made and Tokyo is the winner of the bid to host the 2020 Olympic and Paralympic Games, and with it the confirmation that Zaha Hadid Architects will create the brand new national stadium of Japan that will act as a venue for sporting events, as well as the opening ceremonies and closure. 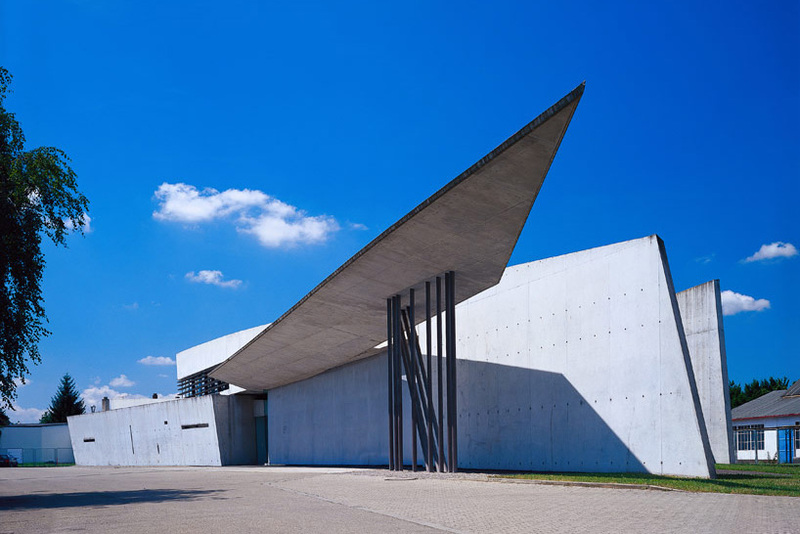 2013 also marks the 20th anniversary of Zaha Hadid’s first public building commission – the Vitra Fire Station on the Vitra Campus at Weil am Rhein. 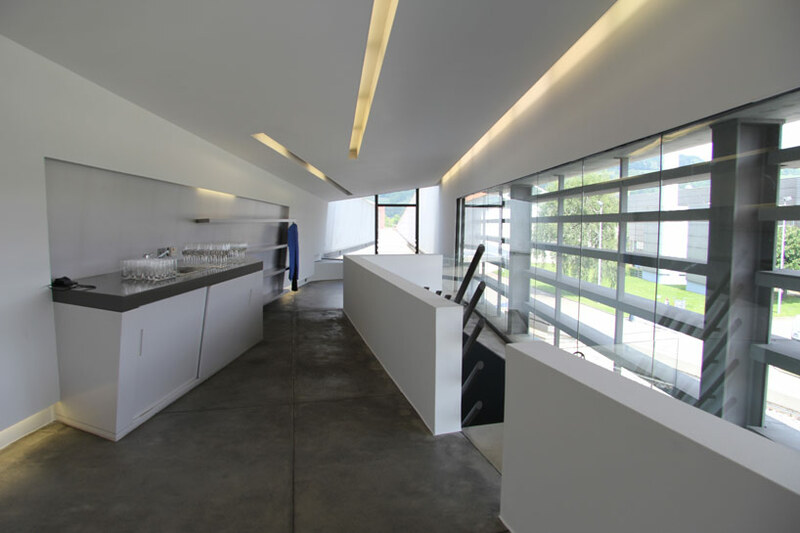 The Fire Station consists of spaces for fire engines, showers and changing rooms for the firemen as well as a conference room and a kitchenette. 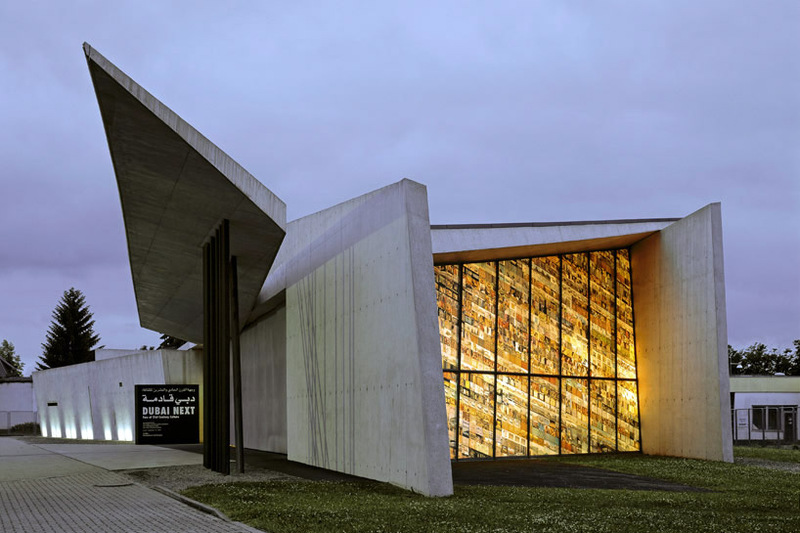 Although Vitra decided to disband its fire brigade a few years later, the building is still used for events and exhibitions held by the Vitra Design Museum. The sculpture-like building was cast in concrete on site. Positioned alongside the angular features of the neighbouring production facilities, it has the effect of a frozen explosion. 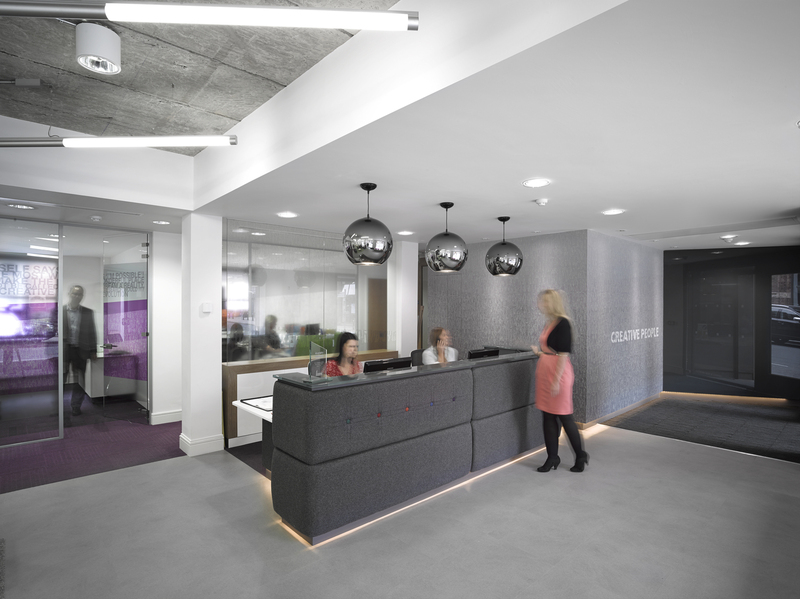 Its lack of colour and right angles provides visitors with an unusual spatial experience.